Perisher is the biggest snow ski resort in Australia, in fact, the Southern Hemisphere. Here you can find plenty of places to ski, play and pursue your favourite winter sport, not only for the experienced, but for the whole family. The snow resorts of Perisher Valley, Blue Cow, Smiggin Holes and Guthega were combined to make the winter playground accessible with 47 lifts. Combined with the Station and the Skitube Alpine Railway they provide easy access to the different locations. With more than 1200 hectares of terrain suitable for skiing, some 60% of it has been devoted for intermediate and beginners. 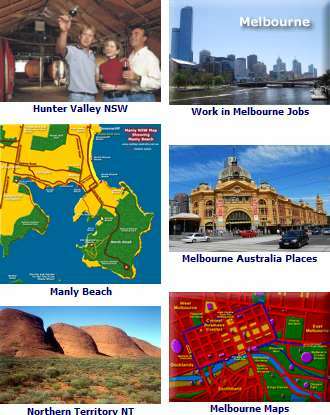 There are also a range of learning experiences available. They have introduced the Max 6 program with personalised tuition for no more than six people at a time in a class. There is also the Kids Progression Sessions available for the younger skiers as well as board riders, ages 7 to 12. Here they can experience air tricks, off piste and more advanced terrain challenges. Yabbie Flat Terrain Park has a mini halfpipe. In fact, there are a total of seven terrain parks available at Perisher. At Tube Town, you can take inner tube rides in the snow. There are snow shoe guided tours available provided with gourmet lunch or for photographers to get some great shots of the scenic winter landscapes. There are also tours in the mountains and there is limited space for tours on the $450,000 snow groomers. Take note of the Alpine Responsibility Code. You will see the signs around the Alpine areas, please read it and understand - it is there for your and others safety. Note: all vehicles, with the exception of 4WDs, must carry properly fitting chains with them at all times on the Snowy Mountains Highway. 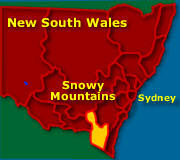 The larger map showing the National Parks, towns and places of interest, including Perisher and other surrounding snowfield resorts including Thredbo, Mount Kosciuszko and Selwyn.